Christian Peacemaker Teams (CPT) is a violence-reduction initiative of Mennonite and Church of the Brethren congregations and Friends meetings in Canada and the United States. It grew out of a call by Ron Sider at the 1984 Mennonite World Conference in Strasbourg, France for Christians to develop "a new nonviolent peacekeeping force...ready to move into violent conflicts." In response to this call, the Council of Moderators and Secretaries of the Mennonite and Brethren in Christ Churches issued a study document in February 1986 proposing Christian Peacemaker Teams. After receiving responses from hundreds of congregations and individuals, the Council of Moderators and Secretaries called a conference at Techny, Illinois in December 1986. The conference issued the "Techny Call" for "more active peacemaking" and "new forms of public witness" through the establishment of Christian Peacemaker Teams in Canada and the U.S. A Steering Committee was established and hired Gene Stoltzfus as half-time coordinator based in Chicago, Illinois in August 1987. Hedy Sawadsky from Ontario was part of the Techny conference and has been a member of the CPT Steering Committee since its inception. The Church of the Brethren joined the Mennonite Church and General Conference Mennonite Church as CPT sponsors in 1986, but the Mennonite Brethren and Brethren in Christ withdrew their sponsorship. Friends United Meeting joined as a sponsor in 1996. The Conference of Mennonites in Canada (CMC), at its 1987 annual sessions, approved a search for "ways of adapting the CPT concept for congregational participation." CPT held its first conference in Altona, Man. and heard from Cree and Salteaux leaders about the threats of violence facing their peoples. At the annual sessions in 1988, CMC agreed to provide training and coordination for congregationally-based CPTs to respond to such threats. In 1989, a CPT support group formed in southern Ontario and organized CPT's Innu Solidarity Conference in Ottawa in February 1990. The Ontario group continued to support the Innu for another two years by organizing parts of the Freedom for Nitassinan Solidarity Walk in the fall of 1990 and by working with local congregations trying to stop low-level military flights over Innu territory in Labrador. During the 1990 Mennonite World Conference in Winnipeg in July 1990, CPT led nonviolence training seminars and organized a vigil with 300 participants at a nuclear missile silo in North Dakota. That same summer during the Oka Crisis, CPT chair Robert Hull came to Quebec three times to assist Montreal Mennonites and Friends in their work as human rights observers at Oka. In November 1990, CPT sent its first short-term delegation of 12 Canadians and Americans to Iraq on the eve of the Gulf War. Since then, hundreds of persons have participated in CPT's delegations to various conflict zones to support local peacemakers and to bring their stories back to local congregations for action. The Christian Peacemaker Corps was initiated in September 1993 with four well-trained, full-time CPT workers and three part-time reservists. This enabled CPT to establish its first full-time, violence-reduction project in Jeremie, Haiti from December 1993 to January 1995, during the worst of the military dictatorship and the transition to democracy. Canadians Lena Siegers and Joel Klassen were part of the Haiti project and established strong ties with Canadian media and diplomats. In February 1994 a French Canadian CPT delegation visited Jeremie and the Canadian Embassy. CPT's first urban violence reduction project was begun in Washington, DC in September 1994 and continued to March 1996. A new project in urban peacemaking then opened in Richmond, Va. in May 1997 and has been visited by Canadian groups concerned about violence in their cities. The next overseas project began in Hebron, West Bank in June 1995 at the invitation of the Palestinian Mayor of the city. CPT's full-time team is based at the boundary between the small Israeli settlements in the heart of the city and the surrounding Palestinian population. The situation is tense, violence flares frequently, and the team has received a number of death threats. Canadian officials are interested in CPT's reports, but appear frustrated by Israel's intransigence. In September 1995, Otto Driedger from Saskatchewan and CPT Director Gene Stoltzfus visited Chechnya to assess the potential for CPT work there. As a result, a CPT Reservist spent the summer of 1996 in Chechnya. CPT Corps member Lena Siegers from Ontario was also part of a four-month CPT presence in Bosnia in the summer of 1996. However neither of these projects was continued due to barriers in language and access, and limited involvement in the conflicts by Canadian and U.S. governments. In August 1997, Mennonite Central Committee Ontario asked CPT to consider establishing a local team to respond to violence affecting aboriginal communities in Ontario. CPT hired Doug Pritchard part-time as Ontario Coordinator in November 1997. Since then CPT Ontario has organized visits to aboriginal communities, a regional training in April/May 1998 for 14 new Reservists from Canada, and public witness events in support of aboriginal concerns and issues arising from CPT's overseas work. In order to link more congregations directly to issues of violence, CPT launched the Campaign for Secure Dwellings in December 1997. Through the campaign, dozens of Canadian and U.S. congregations have committed to supporting Palestinian families whose homes are threatened with demolition by Israel. After several short-term delegations to Mexico, CPT established a full-time project in the state of Chiapas in May 1998 at the invitation of Las Abejas (The Bees). This group of Mayan Christians is committed to nonviolence but has been attacked and dispossessed by government-backed paramilitary forces. Canadian CPTers have sought to influence the situation through Canada's diplomatic and free-trade ties with Mexico. CPT placed a team in Colombia in 2001 to work with farmers and fisherman along the Oopon River who were threatened by conflict between the United Self-Defense Forces of Colombia (AUC) and the Revolutionary Armed Forces of Colombia (FARC). CPT began operations in Iraq in October 2002. On 26 November 2005 four CPT workers, James Loney of Toronto, Canada, Harmeet Singh Sooden of Canada, who was living in New Zealand, Norman Kemberof London, England and Tom Fox of Clearbrook, Virginia, USA, were kidnapped by the previously unknown Swords of Righteousness Brigade. Tom Fox's body was found in Baghdad on 10 March 2006. On 23 March 2006 the remaining hostages were rescued by a multinational military force. After their release it was acknowledged that James Loney's homosexuality had been kept secret to enhance his safety in the Muslim context. In 2007 CPT gained the additional sponsorship of the Baptist Peace Fellowship of North America, the Congregation of St. Basil (Basilians), Every Church a Peace Church, Friends United Meeting, On Earth Peace, and the Presbyterian Peace Fellowship. CPT seeks to enlist the response of the whole church in conscientious objection to war, in the development of nonviolent institutions, and in skilled peacemaking ministries where violent crisis threatens. This work is small, but growing. It is risky, difficult, and at times controversial. But CPT acknowledges that "peacemaking is most of all the work of God" and believes that the Spirit of God is nurturing this work of the church today. Brown, Tricia Gates. 118 Days: Christian Peacemaker Teams held hostage in Iraq. Chicago: Christian Peacemaker Teams, 2008. Gish, Arthur G. Hebron Journal: Stories of Nonviolent Peacemaking. Scottdale, PA: Herald Press, 2001. 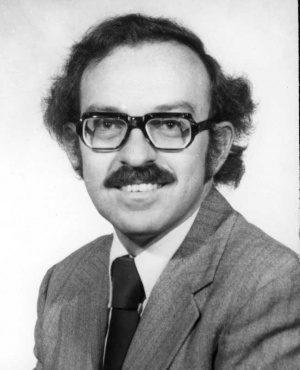 Ron Sider's complete presentation(35 minutes) on 28 July 1984 at Mennonite World Conference in Strasbourg, France. The title was "God's People Reconciling," based on 1 Peter 3:8-12. Pritchard, Doug and Sam Steiner. "Christian Peacemaker Teams." Global Anabaptist Mennonite Encyclopedia Online. 2009. Web. 22 Apr 2019. http://gameo.org/index.php?title=Christian_Peacemaker_Teams&oldid=104562. Pritchard, Doug and Sam Steiner. (2009). Christian Peacemaker Teams. Global Anabaptist Mennonite Encyclopedia Online. Retrieved 22 April 2019, from http://gameo.org/index.php?title=Christian_Peacemaker_Teams&oldid=104562. This page was last modified on 2 December 2013, at 20:03.